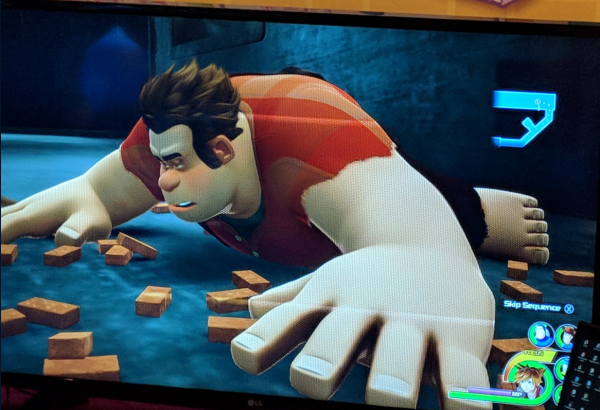 Four off-screen camera phone pictures of a development build of Kingdom Hearts III surfaced earlier this afternoon on 4Chan and were later picked up by several users on Twitter. 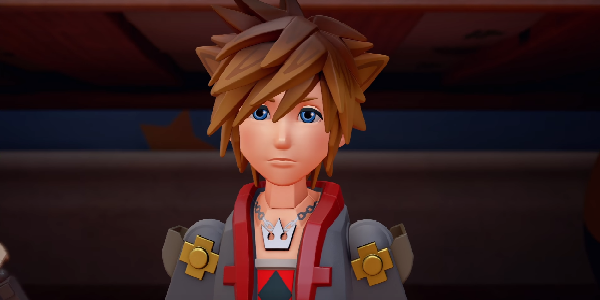 It is public knowledge that Square Enix recently held a preview event for KHIII and the embargo supposedly ends tomorrow morning. The user who posted these images on 4Chan noted that they were subsequently kicked out of the event and had their phone confiscated for the breach. 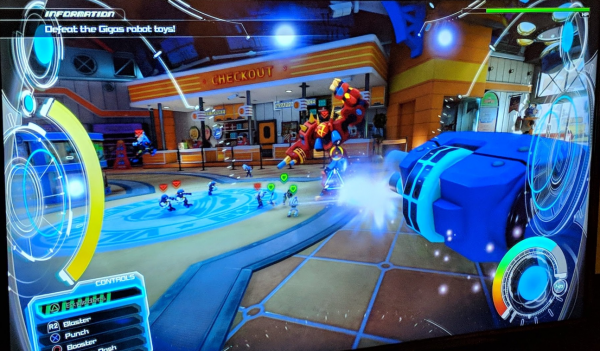 Each of the 4 images given us a bit more information on KHIII’s gameplay and systems. We now know what each of the buttons on the PlayStation 4 controller do while piloting the Toy Mech. 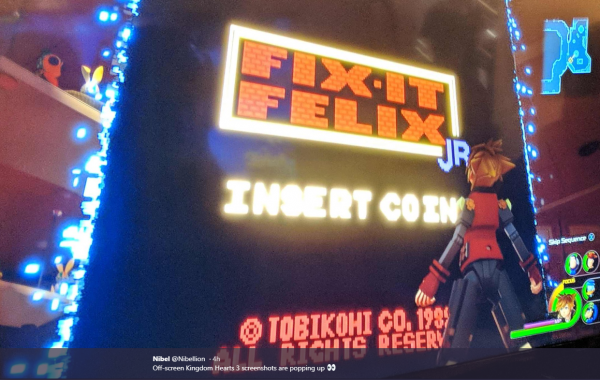 This leak confirms rumors that a Wreck It Ralph stage complete with Fix It Felix game will appear in the game … and most of all, who is this mysterious woman with blue hair? 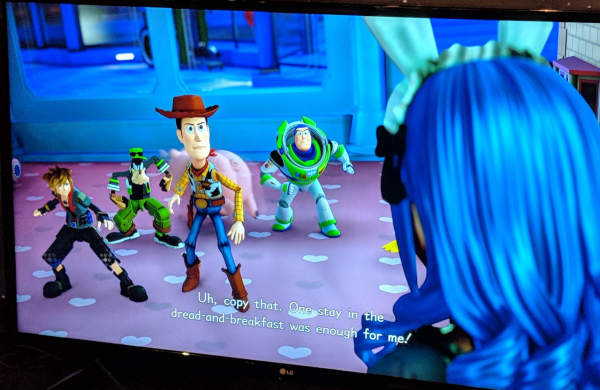 BrokenJoysticks did not attend the KHIII press event and is not under any sort of NDA or embargo. We have, in the past, attended Square Enix preview events.